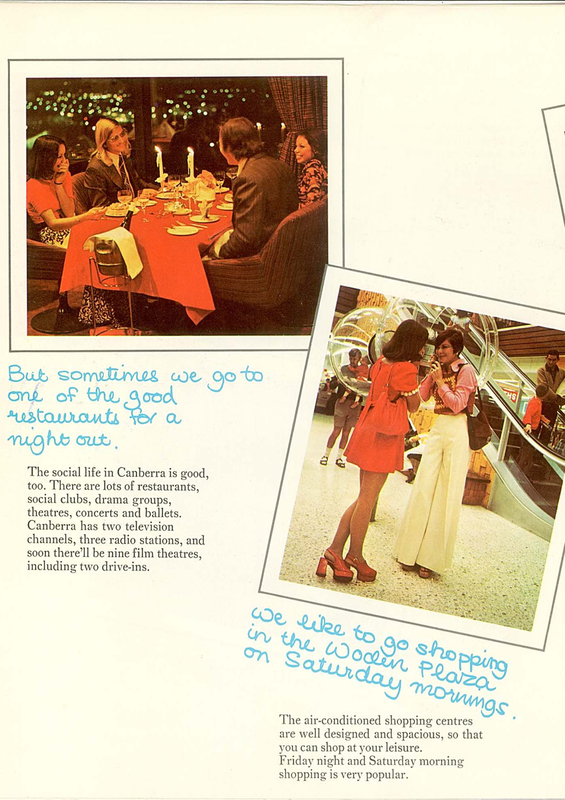 Canberra in the 1970s wasn’t a very big place because I could live pretty close to where I work and go home for lunch. And the buses were seldom crowded so if I didn’t want to walk at least I know I’d get a seat on the bus. If I didn’t want to stay at home then naturally there’s plenty of opportunity to go out and eat, visit a social club or go and see a movie. Or if I did want to stay home there were two television channels to choose from so I could get my weekly fix of ‘Number 96‘, ‘The Box‘, or ‘Homicide‘. And of course I could go shopping in the -wait for it – air conditioned shops. Air conditioning was big in the 1970s. 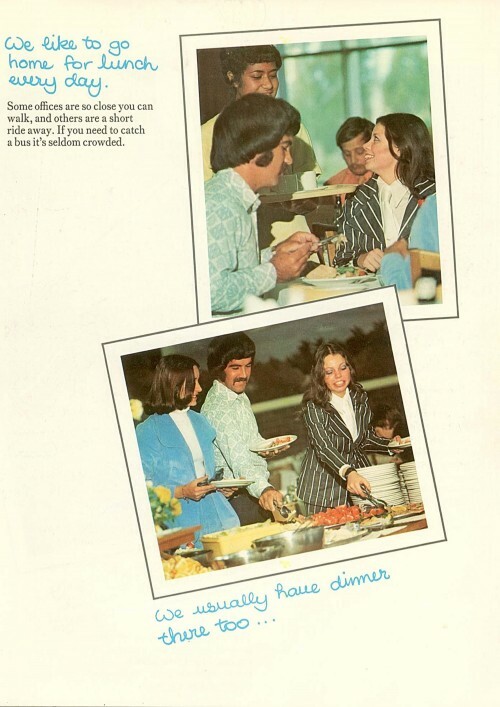 Now let’s talk about 1970s fashions. 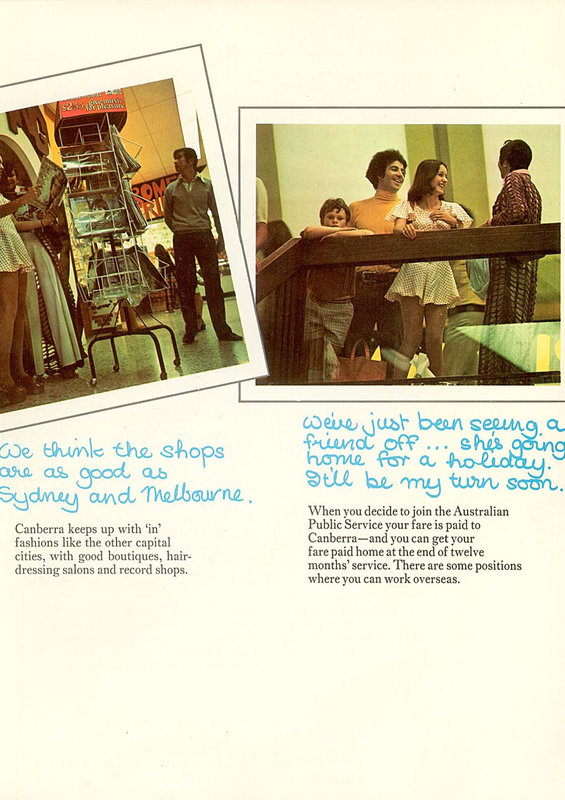 Canberra in the 1970s had all the latest fashions available in its shops like Melbourne and Sydney did. The latest platforms, the latest flares and lots and lots of polyester and rayon. Creases in the front of your trousers that never needed ironing. Because I worked for the public service the government paid for me to go home after a year’s service. It was also possible for me to work overseas. There were so many opportunities. 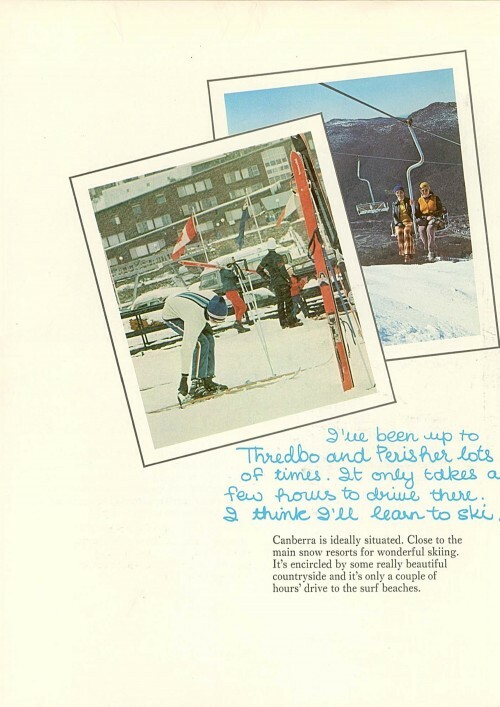 The beauty of living in Canberra in the 1970s meant I could go to ski resorts on the weekends because they were so close. Pity I didn’t know how to ski and my efforts to learn ended up with a broken leg, but at least I tried. I had better luck at the beaches on my surfboard. In the next and final part you’ll get to see how I spent my time in Canberra outside of work. It was an exciting place.